“We’ll paint it up but we’re not changing it.” Andrew Hawkes, son of Merriel ‘Peggy’ Hawkes, is adamant. At the top of Westcombe Hill, about halfway between Blackheath Village and Charlton lies Blackheath Standard. A pleasant area with a village green, the Royal Standard pub and a bank that actually still remains a bank, it is a haven of mainly independent shops — butcher, baker, greengrocer. If you ignore the multiple bookies and estate agents, it is a little slice of arcadian bygonery. On the corner of a parade of late-Victorian shops sits Pegga Stores. 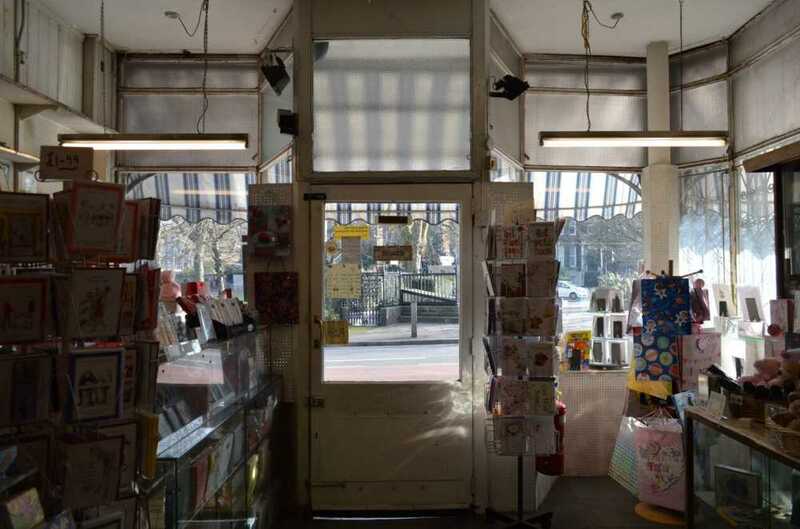 Complete with stripy awning and double-fronted glass windows, if you didn’t know it sold birthday cards you might expect a curious little shopkeeper in a fez to appear from nowhere and offer you fancy dress costumes to try on. 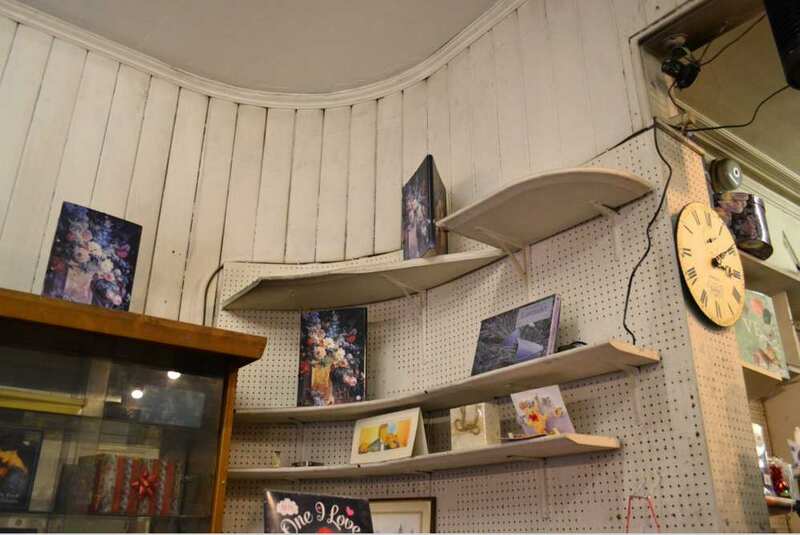 Inside, a collection of original display cabinets, glass counters, peg-boarded walls and beauty-board dados jostle with wooden racks of cards and shelves of last-minute necessaries. Balls of string. Envelopes. 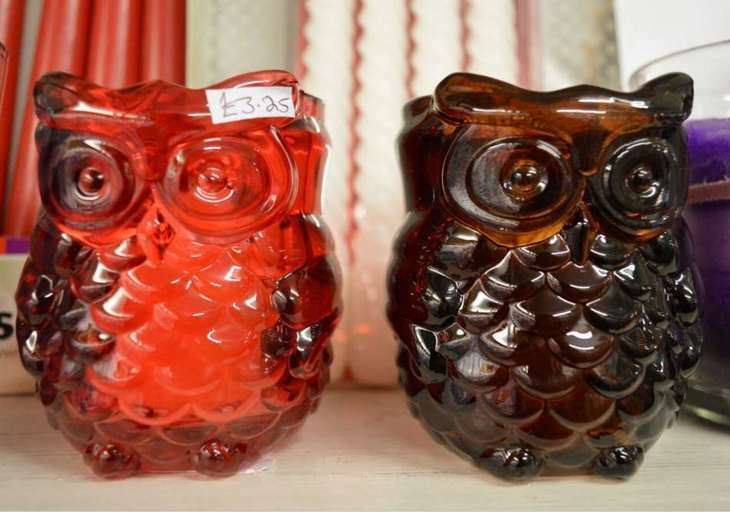 Glass owls. Jam pot covers. China pigs. Confetti. Wipe-clean tablecloths. Doilies. Lots of doilies. If Pegga Stores looks as though it hasn’t changed since the late 1950s or early 1960s, there’s a good reason for that. “Mum wouldn’t change anything,” says Andrew. “It was the last shop in the parade to have security." (A 1960s wrought-iron grille and a truly deafening alarm bell that would knock any potential burglars out with its sheer volume). 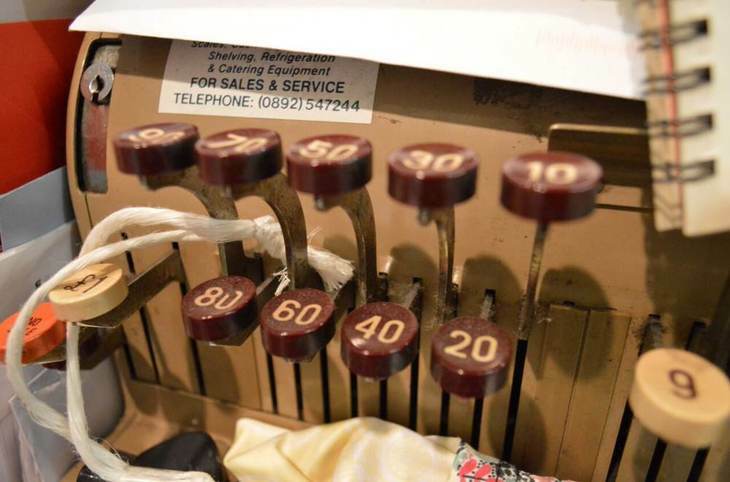 A bored housewife, Peggy started working at the local newsagents/stationers for an elderly couple, the Munns. Andrew cannot be sure 188 Westcombe Hill has been a stationer’s since it was built but he does know the Munns had it for 50 years before they retired, a year or so into Peggy’s employment. Is that for the pair? A frail-looking elderly lady in a shop might have seemed a soft target to thieves but on being threatened with a knife Peggy pelted her assailant with cuddly toys from the shelves. He ran away but the till now has a glass shield. Some things have had to change. “We had... have... an original oak-panelled ceiling,” says Andrew who, thankfully, seems to love the shop as much as his mother. “The fire brigade wanted us to remove it but I couldn’t bear to, so we had some expensive fireproof boarding put over the top. It’s still up there, waiting until we can find a solution and expose the oak again. We also have one gas light fitting — a workman ripped out the other one before I could stop him.” The shop is now lit with ultra-modern strip lights, circa 1960s. Various psychics and mediums have come into the shop over the years. They all gravitate to the same corner where I heard the noises. It has not deterred Pegga Stores resident ghost. “When I was a teenager messing around in the basement I used to hear things up in the shop, in one corner,” says Andrew. “Someone moving things around. I’d think someone had broken into the shop, but it was all locked up and empty. Various psychics and mediums have come into the shop over the years, sometimes 10 years apart from each other. They all gravitate to the same corner where I heard the noises.” The ‘presence’ is friendly, and like everything else in the store, welcome to stay. In a parallel universe Peggy Hawkes is a household name. While filming in the shop for a new ITV soap, the actor playing ‘the shopkeeper’ proved to be rubbish. Peggy suggested herself for the role. On being told she’d need an Equity card, she said ‘well get me one, then’. They did. Sadly, in this world the show — even its name now lost to the annals of time — was never commissioned. For a woman who declared she’d be carried out of her shop in a box, Peggy virtually was. She continued to come in every day, come rain, come shine, driven by Andrew, never taking a single day off until her last, short illness. As the 21st century charges towards its third decade the vultures have been circling but developer-sharks will find slim pickings at 188 Westcombe Hill. 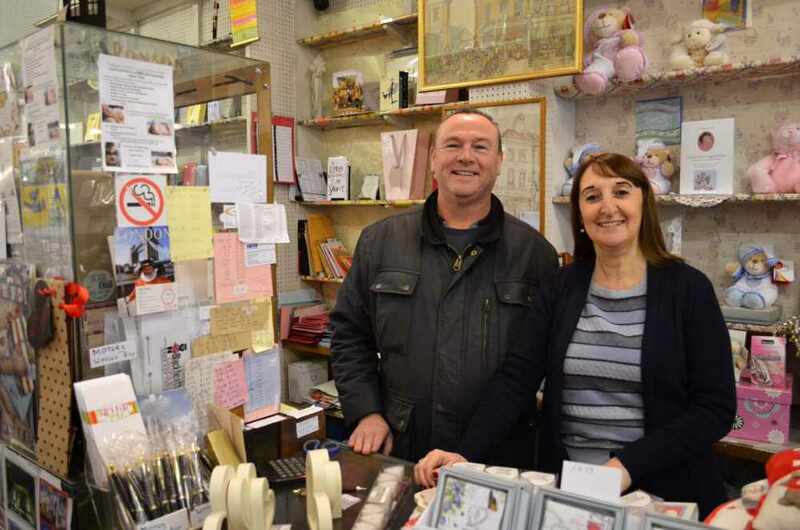 “People try to buy the shop all the time,” says Andrew. “We get notes shoved under the door (there’s no letterbox) and people even come in. Mum used to send them away with a flea in their ear. “Me and Angie are going to give this a go.” Angela Wing worked with Peggy for many years and also has no intention of changing anything. She’s busy restocking Basildon Bond notepaper and sourcing baby shower cards. For the record, Peggy would have approved of the former, seriously disapproved of the latter. So, relief all round in south east London. But…why ‘Pegga Stores’, not Peggy? Andrew Hawkes shrugs. “We have no idea”.